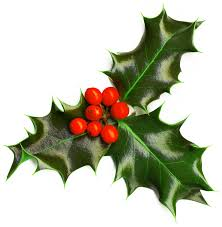 It’s late at night on Christmas Eve and I am sitting here in front of my PC, with HCRealms.com up, planning teams. No, actually, that’s a lie. I am actually obsessing over a recent loss at a tournament. A guy played 4 Wall Constructs on a 4 person team. I was piloting a Red Lantern team and when we met in battle and I got a few shots in, but it wasn’t nearly enough. He used Pulse Wave to quickly KO two of my men. I was left with 2/3 of my build, but only one character with a natural 3 damage showing and the other people left on team didn’t have move and attack abilities left on their dial. Even though I had all these characters on the board I was no longer capable of attacking his team. All these pieces left on the board and no matter what dice rolls I got or what strategy I used, from that point forward there was nothing to be done except lose. Someone–or more accurately some THING–creeping down the hallway, each step echoing like plastic parts rattling around in a cardboard box. Fearfully I turn my gaze to the door. Slowly now, ever slowly, it rounds the corner to my office and it’s… a man. Carrying several huge tackle boxes full of HeroClix, all stacked on top of each other in front of his face. Trembling, I summon what courage I have left and ask, “W-who are you?” He–it’s a man, now, I can see his silhouette–he starts to reply in a deep jagged voice I don’t recognize. “Kyrphlxx.” Then he coughs and reveals himself by putting the boxes down on a chair. “You, Ninwashui, you… have brought me here,” and he points a bony finger in my direction. “You’ve forgotten what’s important. both in HeroClix… and in life. Will you be at my house on Christmas Day? Or will you still be here trying to figure out how to beat he who defeated you not a fortnight ago? Standing behind me I suddenly notice a tall figure. I turn and it’s my friend Scott. I’m startled, but he immediately cuts off my gasp and says, “I’m here to remind of your HeroClix past.” Suddenly we’re not at my house anymore. Instead, both of us are watching our younger selves in my parents basement. It’s 11 years ago. We had just stated playing HeroClix about a month earlier. Hypefox, Scott, and I were having a battle royal and sitting around an early map trying to figure what was hindering terrain and what was blocking. I noticed my team had Rogue and the Juggernaut. They weren’t very good, but they were some of my favorite characters from the comics and I just loved playing them for that reason. Standing there is my friendly rival Andrew from my local HeroClix venue. It seems that no matter how many people are at Comics & More on a particular night, we always end up playing each other. If I’m doing badly then I will see him at the losers table. If I am doing well then I see him in the Finals. The last time we played we were both competing to not be in last place at a Flash Sealed event. I won that round fielding a team that wasn’t good, but slightly less-worse than his. The time before that he won the day when he “Krampus’d” me. “Are you going to teleport me to his house?” He looks at me like I’m nuts. I look up Brian, our venue judge, on Facebook. Just like Andrew said, his Facebook page shows all the unimaginably-evil plans for the Entities he owns. Actually, when I look closer the plans he has are the opposite of evil. The exact entry reads “I need X-Mas money! Make me an offer for these Entities.” He’s selling them all off to buy Christmas gifts for his family! He wasn’t really interested in making cutthroat teams–his Clixing would be just fine without the Entities. I turn to ask Andrew about it, but he’s gone. Behind me is a figure in a black cloak, his countenance obscured by shadows from his large, billowing black hood. I look at myself and notice that I’m arranging pieces for a tournament. I’m alone so I must be planning out my team before everyone gets there. I look at some of the things that I have displayed in front of me. I see at least 10 different Chase Primes. I see a new type of Possession Piece called a “Multiverse Alternate Reality Incursion Entity”. I see a new Infinity Gem Resource. I see a Quinjet. I even see two Team Bases with Galactus and the Spectre on them on them! All of these things must have come out in the next 5 years and it seems like I have them all! I look at all the pieces in front of me. Then It happens. I was so busy looking at all of the HeroClix figures on display that I missed seeing the piece of paper on the table in front of my future self. I see it now, and I know that my future self has taken a dark path. The paper is a tournament flyer. It reads, “Come face the best HeroClix player in the world. Tournament hours 8-midnight on Christmas Eve.” I’m not alone at Comics & More because it’s early before a tournament. I’m alone because it’s Christmas Eve and everyone else is with their families tonight. I point at the paper and turn to the figure in Black. 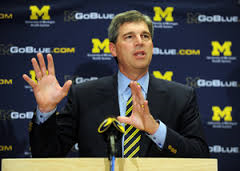 I wake up screaming at my keyboard, with Dave Brandon’s empty laughter ringing in my ears. I look around. It’s morning. It’s Christmas. I look up at my screen and during the night I’ve created the most evil team I’ve ever seen. It exploits timing rules and a broken combo to KO an opposing team before they’ve left their starting area. This could beat anything wall guy could throw at me. I’ll be the best player ever. Then I look closely at it. A casual player wouldn’t even get an attack off against this team. It would win every game 300 to nothing. Before I even realize it I am pressing delete. I take a minute to send a simple text about my night to HypeFox and get ready to go see him. Somewhere he’s reading what he’ll soon tell me is the most confusing back-t0-back texts he’s ever seen. I stretch and stand. I head to the bathroom for a quick shower, but as soon as I look at the mirror, I’m startled by another visit from Phantom HypeFox. I wave my hand to cut him off. I can’t believe I missed this earlier! Well done, sir. Well done. I really hope that Dave Brandon isn’t in charge of Clix. That was a dream, right? Great story, you are really good with what you do! Love these pages!!! I wonder what would be that “It exploits timing rules and a broken combo to KO an opposing team before they’ve left their starting área” team you’re referring! I get scary (and excited) trying to imagine what your devious minds could come up with!